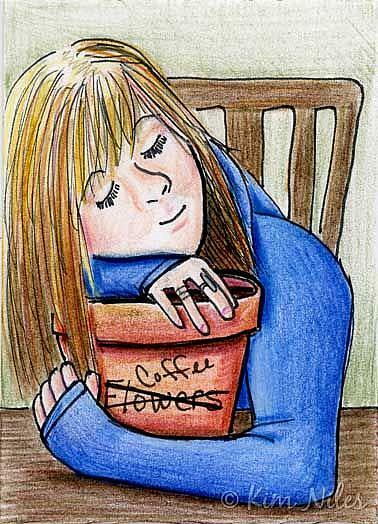 My morning pot of coffee keeps me warm! This original illustration, a self-portrait features me in one of my favorite winter shirts (the arms turn into wrist warmers complete with thumb holes). It was created in India inks and Soho colored pencils. This original self portrait illustration is SOLD.